The Recruitment & Selection Process is one of the most decisive points for any company. Hiring is the process of adjusting people, companies, and the market. A aligned professional with the organization became easier his adaptation, increases motivation, enhances competencies, results and reduces employee turnover. 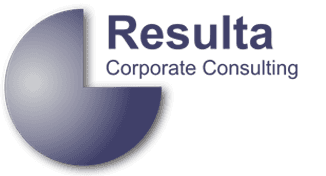 Resulta Co. has the best solutions in Recruitment Process. We develop a close relationship with our clients. We have agility, precision and ethics as pillars that support any differentiated models. The Resulta Co. Methodology was differentiated assessments, correlated requirements and professional benchmarking, is defined by the market intelligence and an expert consultant team. Get our newsletter and articles about auditing, consulting, risk management and related subjects. Click here to download our detailed folder. ZIP CODE:04711-030. São Paulo - SP. Brasil. Opening Hours: Monday to Friday, 9:00 am to 5:00 pm. Copyright © Resulta Corporate Consulting. 2003-2019. All rights reserved.